Other Products by Vitus. Search other Spirulina, Greens & Reds products. Pure, Desert Grown Spirulina...Concentrated Nutrient Rich Wholefood. Desert grown VITUS Spirulina has the highest quality, strictest safety and best weather conditions for this pure, nutrient dense ancient food. Vitus Spirulina provides over 65% protein, with vitamins, minerals, trace minerals, essential fatty acids, phytonutrients, and antioxidants for bioavailable nutrition. 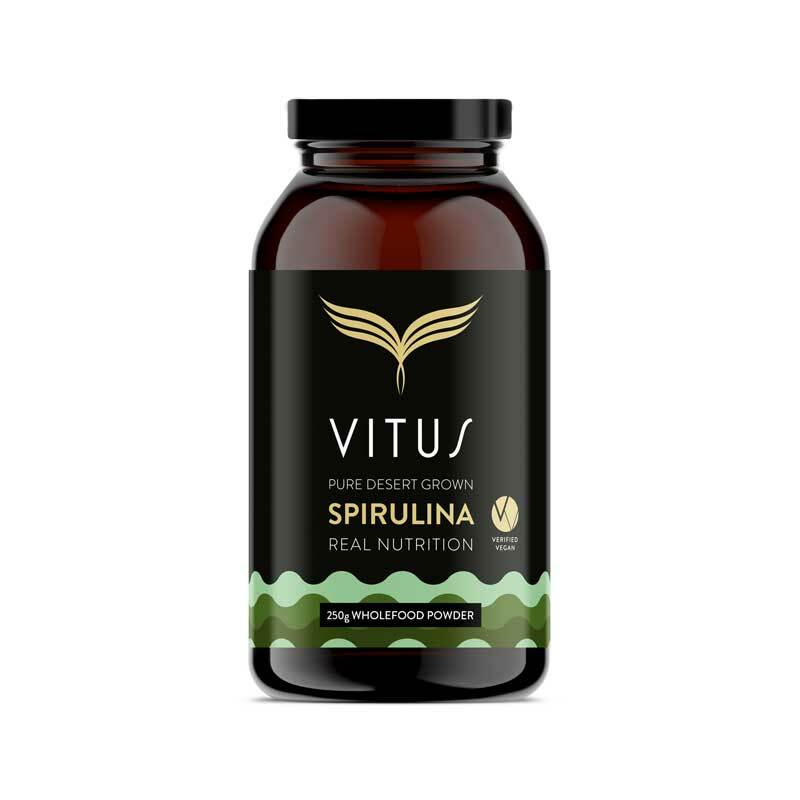 Containing iron, VITUS Spirulina supports energy, nutrition and immunity. Choosing life-enhancing spirulina is good for you and the health of our planet. From farm to you, VITUS wholefoods, including VITUS Spirulina are sustainable, ethical and real. Take 1 serving (6 tablets) of Vitus Spirulina, one to three times per day. INGREDIENTS: Spirulina (Arthrospira platensis) powder (98%), Silicon Dioxide & Vegetable Magnesium Stearate. VITUS Spirulina is Vegan, Non GMO and free from gluten.